“From Scholar to Street”, “From global leaders to local communities” are slogans that readers of Wisdom will have heard, as we express time after time our commitment to carry Elijah’s work from global leaders and scholars to communities. 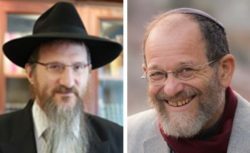 Elijah put this approach into action in Moscow, with the help of Russian Chief Rabbi Berel Lazar, a member of the Elijah Board of World Religious Leaders. 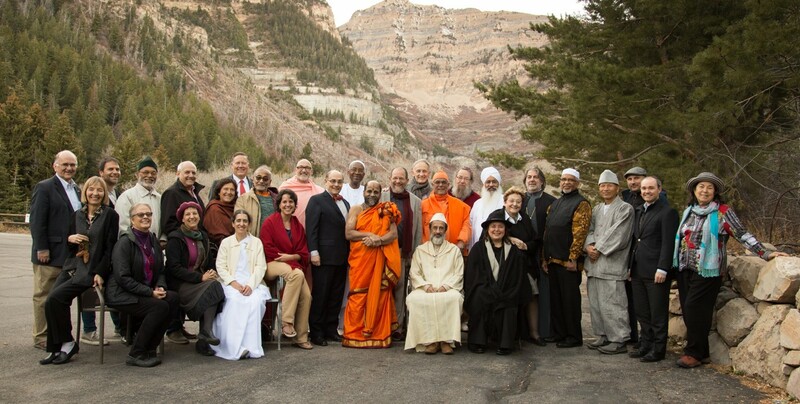 Rabbi Alon Goshen-Gottstein was invited to join the interreligious pilgrimage arranged by True Life in God. In partnership with this organization, he convened a meeting for 600 religious leaders and pilgrims from all over the world. For most of them, this was the first time they had been welcomed into a synagogue. And for the Chabad Center Synagogue, this is the first time a meeting of this scope was arranged. To hear Buddhist, Muslim and Christian leaders affirming the importance of encounter, collaboration and peace in front of the synagogue ark of the Chabad Moscow Synagogue was an event that helped implement Elijah’s philosophy, opening up new partnerships and exposing Elijah’s message to broader audiences from dozens of countries. For a video of highlights of this event, click here. 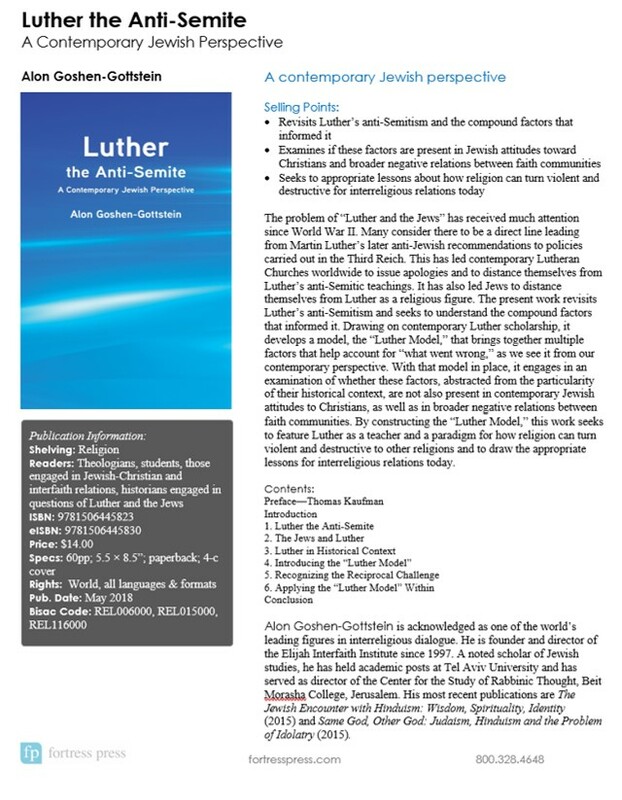 Luther the Antisemite was part of a larger project that Alon Goshen-Gottstein had been working on with Lutheran theologian Vitor Weshelle. Following the work on Religious Genius, Alon and Vitor set out to examine the figure of Martin Luther, who was being celebrated last year in honor of the 500th anniversary of the reformation, as a religious genius. The book was designed as a Jewish-Christian conversation on the figure of Martin Luther, engaging his theological work, read from the prism of both faiths. Sadly, Vitor announced at a certain point that he had been diagnosed with advanced cancer. This cast the future of the project into doubt and led, by mutual consent, to the publication of the first part of the project, the challenge of how to understand Martin Luther in a Jewish context, as a self-standing monograph. Luther the Antisemite was published days before the sad news of Vitor’s passing away. His creative mind, open spirit, readiness to engage and theological audacity will be missed. The following words are taken from the opening of Vitor’s “Conclusion” to his Transfiguring Luther: The Planetary Promise of Luther’s Theology, Cascade Books, 2016. They are as appropriate to the person who penned them, Vitor Westhelle, as they are to the subject of his study, Martin Luther. this is a spiritual act. The Elijah Interfaith Institute is proud to collaborate in promoting an extraordinary interfaith event that will take place on June 14, 2018, the last day of the month of Ramadan, between midnight and 3:00 am, at the Tower of David in Jerusalem: Koololam – the social project for mass singing. If you will be in Jerusalem then, we hope you will join us. See below for the link. The event is being held in honor of the Jerusalem visit of Kyai Haji Yahya Cholil Staquf, the Secretary-General of the world’s largest Muslim organization—Indonesia’s Nahdlatul Ulama with more than 60 million members—who will be attending along with other faith leaders. It will be held in cooperation with the Tower of David Museum, Jerusalem.com, The Interfaith Encounter Association, Coexistence in the Middle East Program, Tiyul-Rihla and others. Koololam is a social musical project created to bring together people from all walks of life in the Israeli social spectrum through a joint musical creation. For each event a well-known song is chosen, which is given new musical processing in vocal harmonies. At midnight, with the breathtaking view of the Old City, hundreds of strangers from various religions and sectors will gather in the Tower of David, the Museum of the History of Jerusalem, symbolizing Jerusalem and its charm and a gateway to the Old City, its cultures, and traditions. The participants will take part in the inspiring activity of Koololam when they will learn an innovative musical processing for a song in three languages and three voices. Click here to register for The Elijah Interfaith Institute. The event is open to private individuals and religious leaders, and the evening is devoted purely to dialogue, poetry and prayer. HH The Dalai Lama shares his ideas on how we can increase our happiness through deepening friendships. Click on the image below to listen to the Dalai Lama.